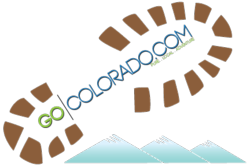 With Summer Just Around the Corner, GoColorado.com Can Help Travelers Plan Their Vacations. It’s almost summer time and GoColorado.com is now offering its visitors a wide variety of unique travel destinations that will make their vacation more exciting. In the summer, Glenwood Springs provides hikers with a number of modes to explore the town’s national forest areas. Spanning over 2 million acres across ten counties, the White River National Forest offers vacationers ample space and scenery to enjoy the natural beauty that Colorado has to offer. Contained within the national forest are seven different wilderness areas that include Collegiate Peaks, Hunter-Fryingpan, Raggeds, Flat Tops, Holy Cross, Eagles Nest and Ptarmigan Peak. These areas offer a number of forests to hike and climb through. The Arkansas River, located here in Colorado, is one of the most popular rafting destinations that attracts enthusiasts from all around the world. The Arkansas River offers river rafting on 95 miles of thrilling whitewater. Wilderness Aware Rafting offers vacationers summer rafting trips that are suitable for families with children as well as exciting white water rafting for professionals. Trips can range from half-say trips to multi-day trips of up to five days. The town of Frisco offers those looking for a less crowded travel destination plenty of fun summer activities. Travelers can take advantage of the mountain bike trails that are located 35 minutes away from Summit County. They can also check out the Frisco Adventure Park that features a bike park designed for all levels of riders as well as any style of bikes. When the sun is shining and the kids are out of school, it’s time to enjoy Colorado’s summer season in style. For those who want to choose from a wide variety of destinations located throughout Colorado, GoColorado.com offers “365 Things To Do In Colorado.” From hiking through the trails of Fish Creek Falls in Steamboat Springs to experiencing the beautiful Stanley Hotel in Estes Park, GoColorado.com offers over a hundred different activities to choose from. If you would like additional information, please visit at http://www.gocolorado.com or contact us at info(at)gocolorado(dot)com.